« Beautiful or what ? 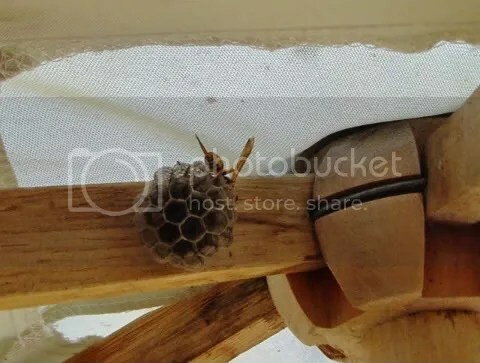 A few posts ago, I showed a photo of a garden umbrella which had been used as over-wintering quarters by a number of ladybirds. Opening it for some guests who were going to watch the sun setting while they sampled a bottle of wine or two, we noticed that someone had started building summer quarters. …but I’ve got to try and get someone knowlegeable to validate that identification via a slightly clearer photo. Zooming in on the beautifully constructed nest, it appears that eggs and larvae are already in place. 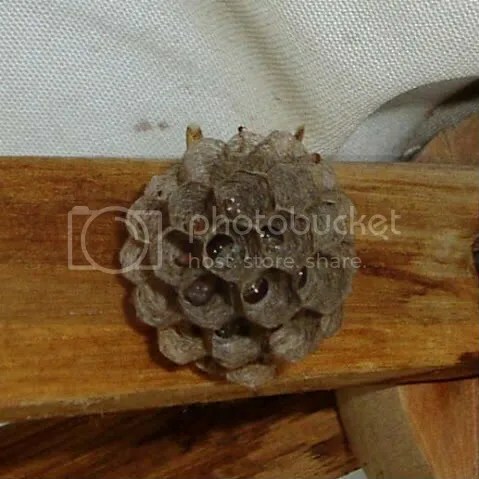 I will be trying to get confirmation on the type of wasp and also keeping an eye on it to see whether the cells are capped which will mean there are pupae.